Combat Patrol 1939 Tonight | H.A.W.K.S. 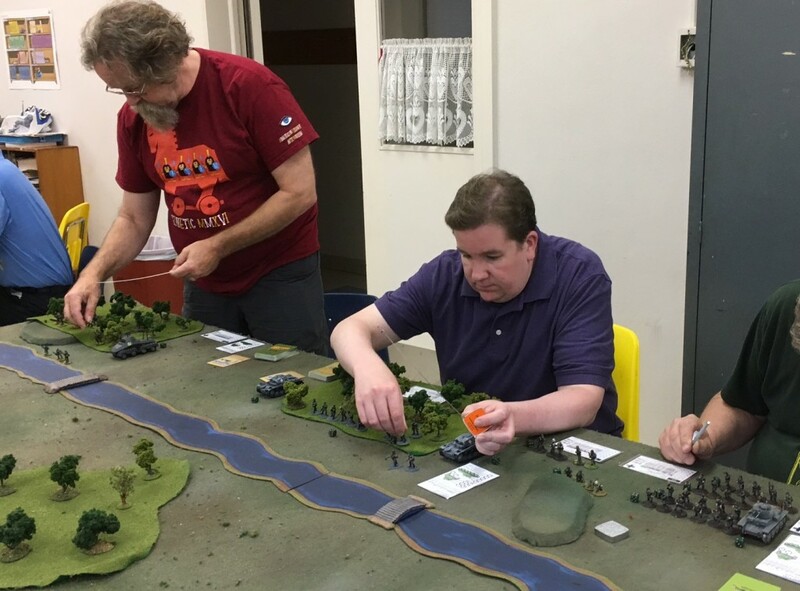 Tonight we had fun playing a Poland 1939 Combat Patrol game at our club. The Germans were trying to seize a line of Polish bunkers. 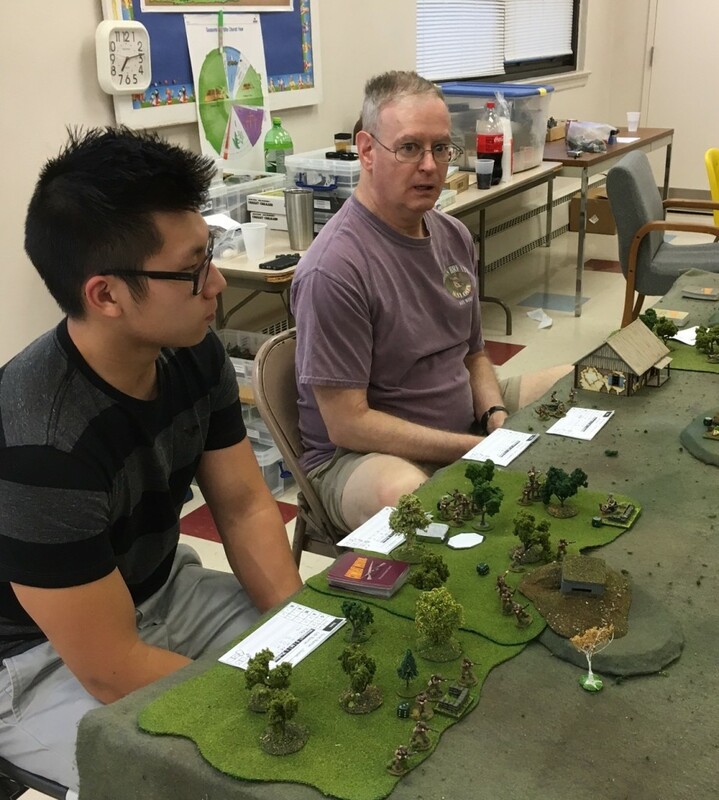 The Poles (Don and two newcomers to the club, Nick and Tom) took a lot of casualties but were able to stop the Germans (Zeb, Greg, and Roger) and prevent them from breaching the defensive line. The Germans just advanced without a master plan. Don got two early hits on a German SdKfz 222 and a Pz. 38(t), brewing them up. After this, the Germans became much more cautious. A hidden Polish anti-tank rifle bided his time all night and finally got a flank shot on a Pz. II, brewing it up in the last turn. 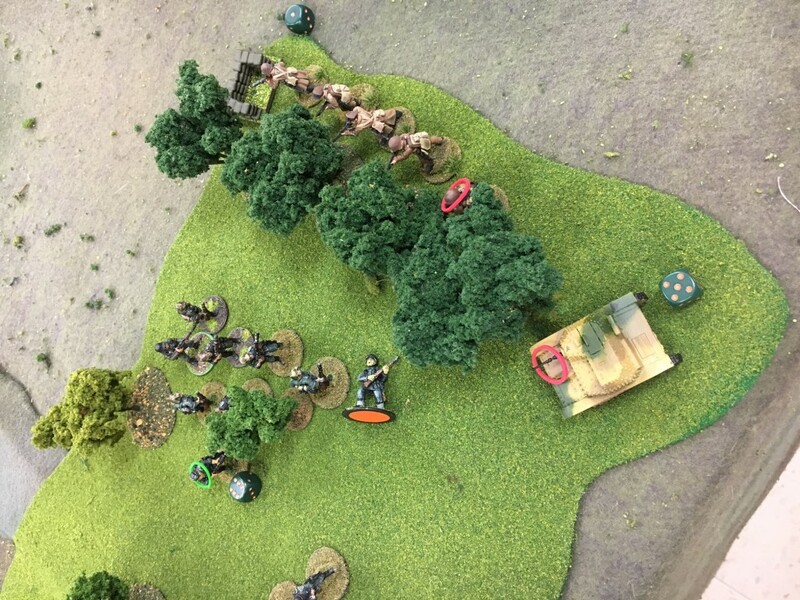 Despite withering casualties on both flanks, the Poles held the line of bunkers and won the game. It turned out to be a good scenario that kept everyone in the game until the end. 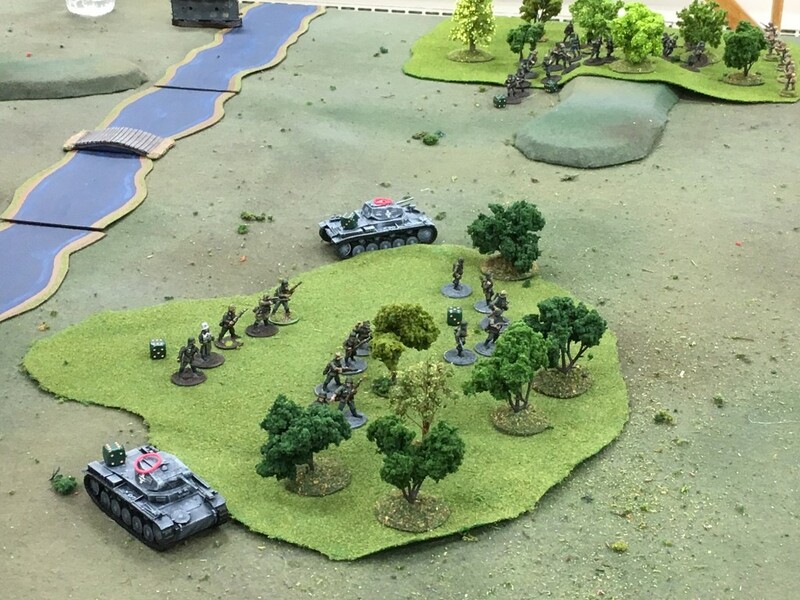 Germans and Poles fight it out in the woods on the Polish left flank. The Germans advance cautiously with their remaining Pz. II’s after losing two vehicles to accurate Polish anti-tank gunfire.